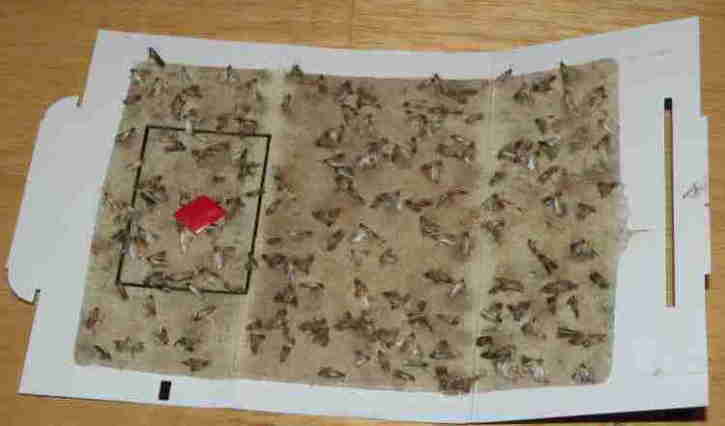 Kitchen Cupboard Moth Trap Results. No More Kitchen Cupboard Moths! I purchased flour moth traps to control a moth infestation in my pantry cupboard. Take a look at the picture.. Hundreds of Moths trapped, I had to put out a new trap because this one was full! I know I will keep several at least 2 cupboard moth traps on standby just in case the kitchen moths return.